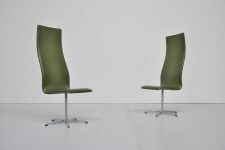 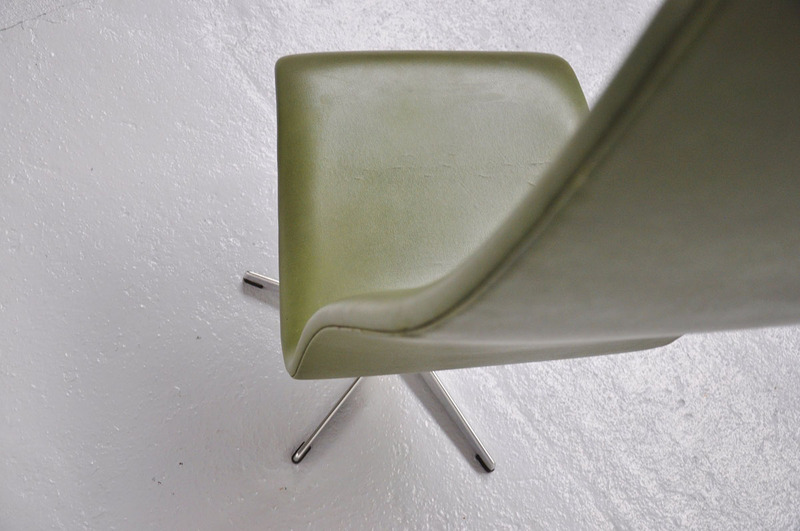 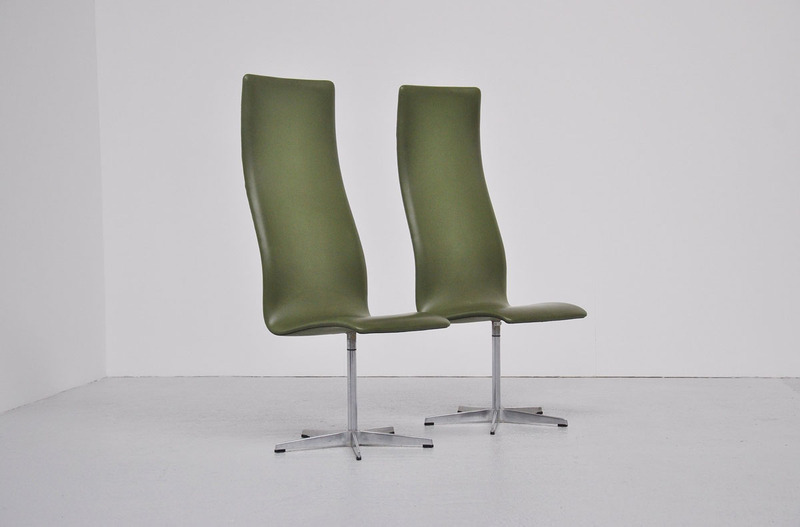 Fantastic high back desk chair by Arne Jacobsen with fantastic original green vinyl. 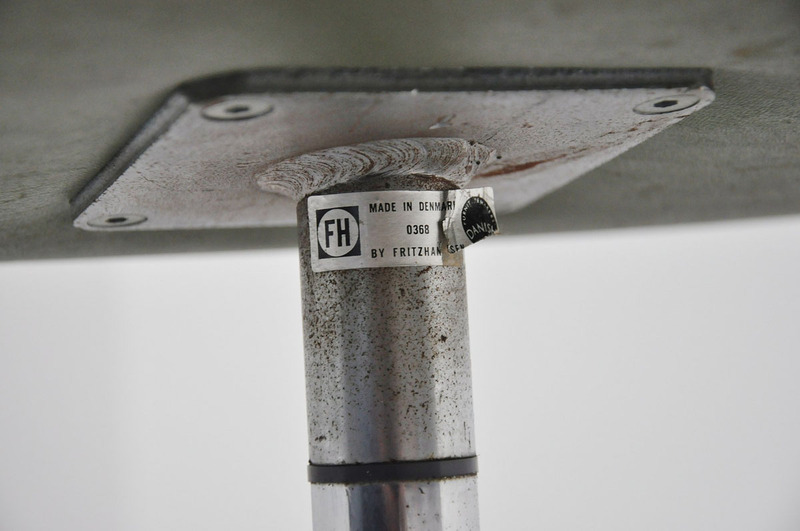 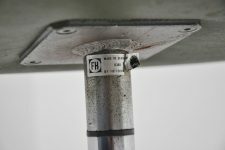 One still has the sticker of Fritz Hansen. 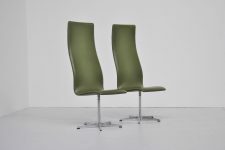 We only have 1 chair left in stock.